St. James Hospital is the first hospital in Ireland to use Virtual Reality headsets amongst patients. This project has been trialed amongst 20 patients in Hollybrook lodge and many of whom have limited mobility. It has received very positive and encouraging feedback to date. Different experiences are possible for aged care residents like canoeing down a river, walking with penguins or taking a ride a hot air ballon. All of these 360 degree videos are produces by Australian Company Solis. “It is so authentic, you actually feel you are there, in that particular place, right at that time, it is wonderful. I’m really enjoying using the Virtual Reality googles, it’s so exciting going to new places and experiencing new things form the comfort of my own room. 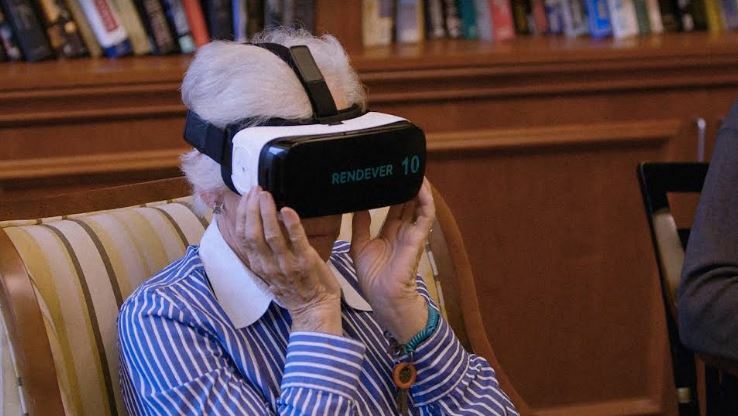 I’ve always wanted to go to New York City, so I’m hoping that virtual reality will make this possible!” said Valerie Cummings a resident at Hollybrook Lodge. Virtual Reality is also proven to be a surprising tool in the management of dementia. The technology is giving the patient a brief escape from the illness and can eventually help them regain lost memories.